Here are two cards I made today. 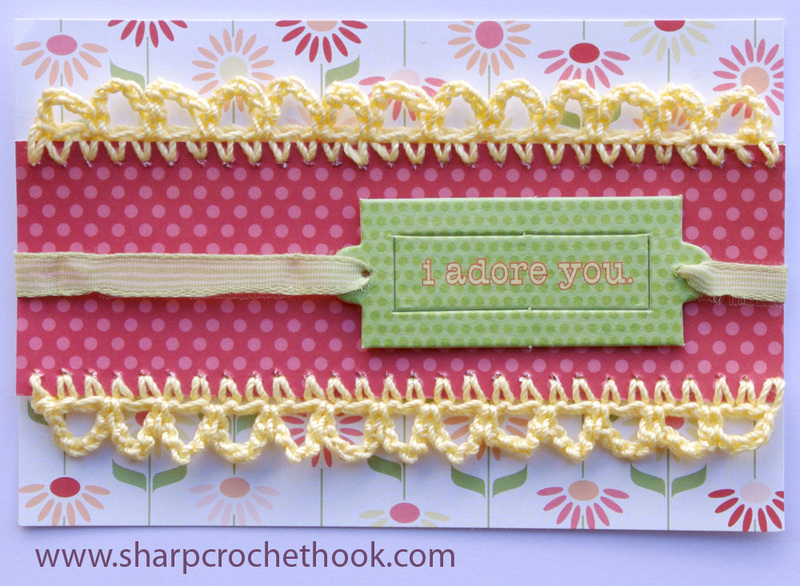 I crocheted the edging with the Sharp Crochet Hook. 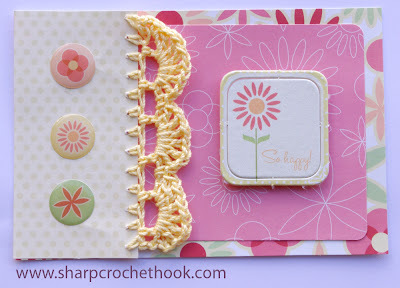 It went through the scrapbook paper very easily and I didn't need to prepoke the holes first, so it was really quick. 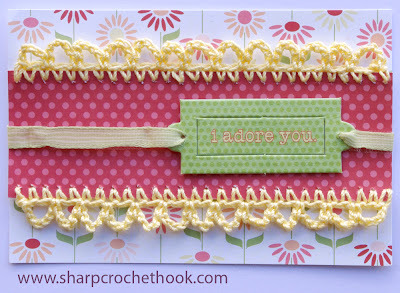 I think the crocheted edging adds a lot of texture and is a nice personalized element. The paper and stickers are from SEI. The crochet thread is from Red Heart, size 3 cotton crochet thread. Crochet and leather, welll helllo!